I have watched you grow faster than speeding bullets. I have been to every Bris, Baby naming, Birthday party , Graduation and more. I even created fun Birthday parties for you Sami Jo every summer with Uncle Almost and whole family, because you have a summer birthday and wanted to spend it with us adults. I will miss those parties. Before I had Dylan Reid almost 3 years ago you were my everything and guess what you still ARE! Watching you all take care of your baby cousin is so incredible. 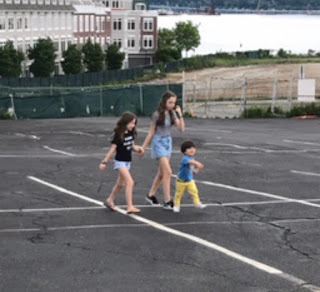 Each of you hold a special place in Dylan's heart and to this day I still call you my babies. I don’t think that will ever stop. 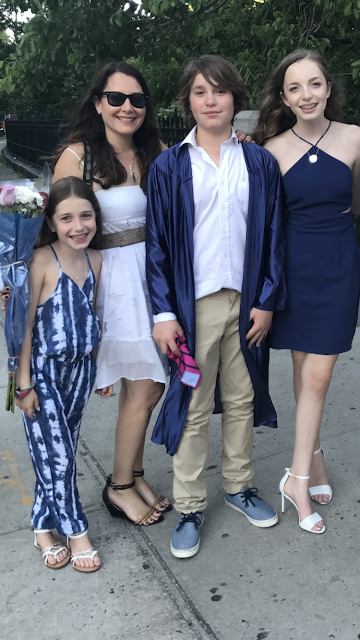 Today I said goodbye to you three as you are all going to summer camp tomorrow. This will be Sami’s first time going. 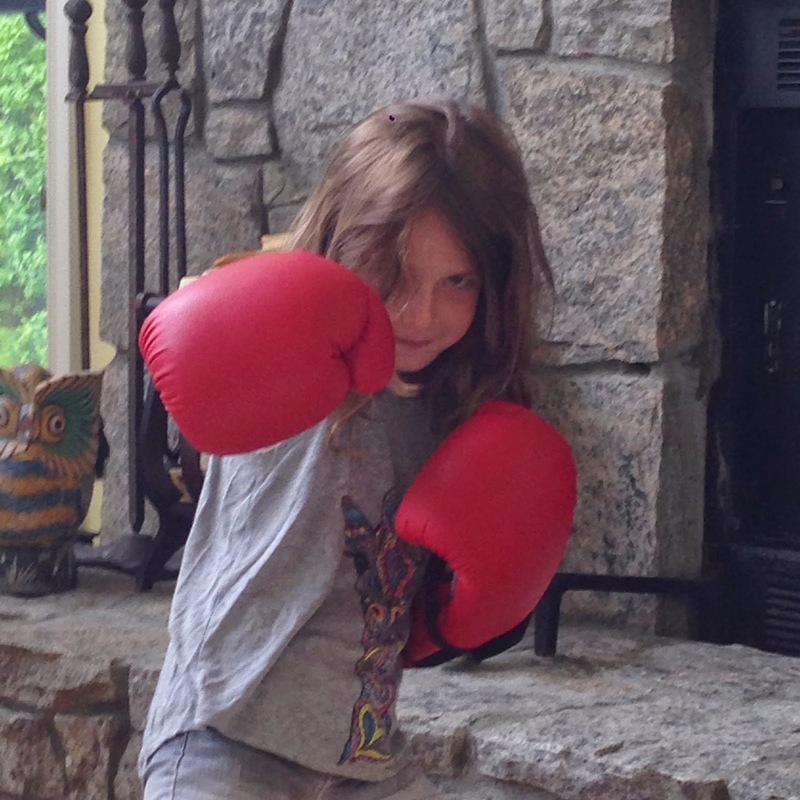 I asked Sami Jo to not grow too fast and to remember me when she gets back. She promised me she would. My aunts (on both sides) made such an impact on my life. I miss them everyday. My Auntie Carol passed away on 7/12/14 a few months before Dylan was born and his Hebrew middle name is named after her . It is Chaim, which means life. 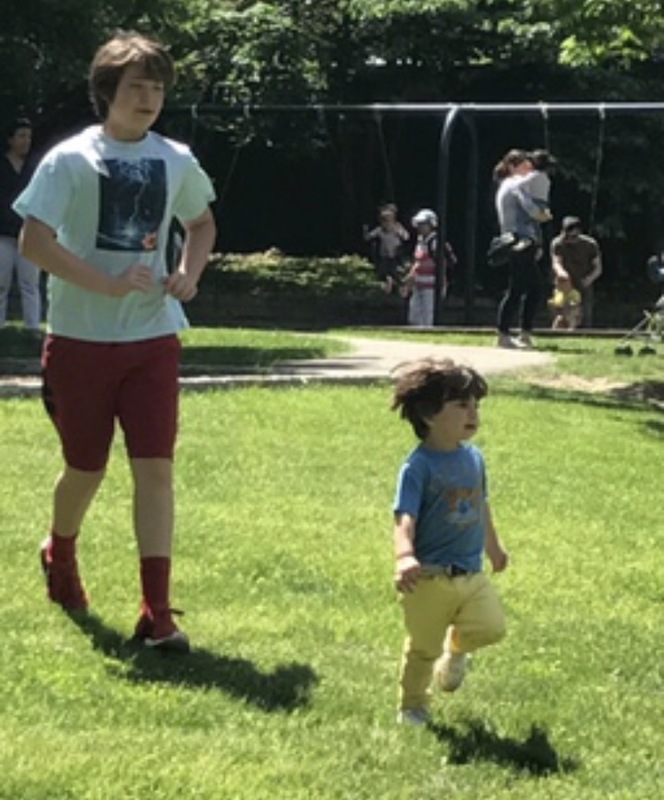 All three of you have enriched my life and your uncles, and now our son. To life. To living. To learning. To growing. To giving. To loving your aunts (hee hee) :) I love you guys. Have the best summer and don't grow too fast. How has your Aunt impacted your life? 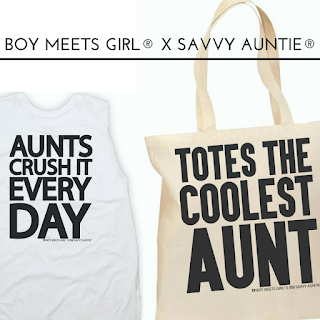 The Coolest Aunt-T Tees and Tote are some of the coolest gifts for yourself and all cool aunts, anytime. 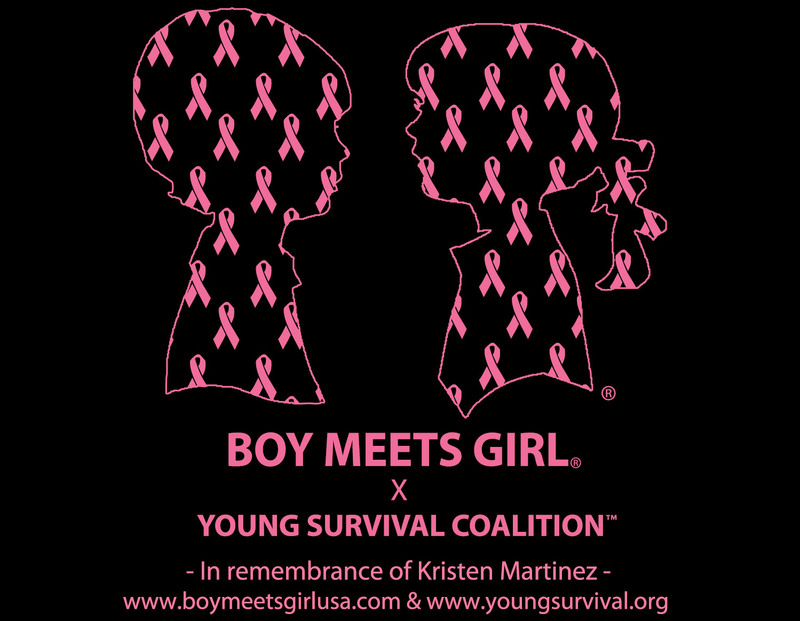 Limited Edition product available through August 15th, 2017 on www.boymeetsgirlusa.com. 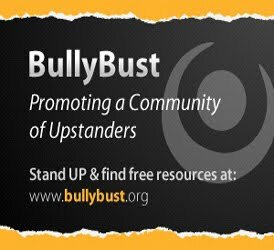 And since 7-in-10 Savvy Aunties say their nieces and nephews view them as a mentor, we're donating a percentage of all sales directly to Bully Bust. 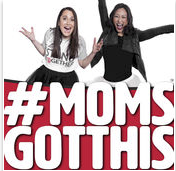 This is an organization that helps girls and boys become upstanders in their community and combat bullying. Pretty cool, right? We thought so. 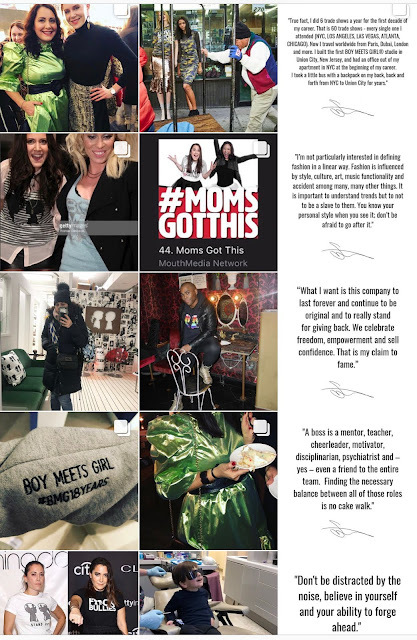 So if you do not win this contest make sure to head over to www.boymeetsgirlusa.com and snag your favorite Aunt some goodies for good. 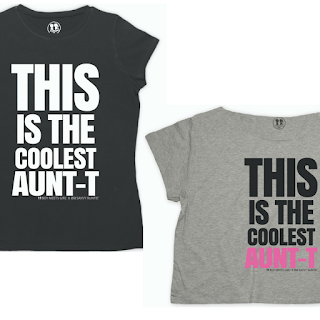 Here's to all the COOLEST AUNTS! Boy Meets Girl® x Savvy Auntie®: THIS IS THE COOLEST AUNT-T Flash dance crew neck (or how Savvy Auntie calls it "FLASHDAUNTS"
I will announce winner on this post on Wednesday 7/12/17.